At The Belfry Hotel & Resort we pride ourselves on being England’s Leading Resort, offering world-class facilities along with world-class hospitality and service. 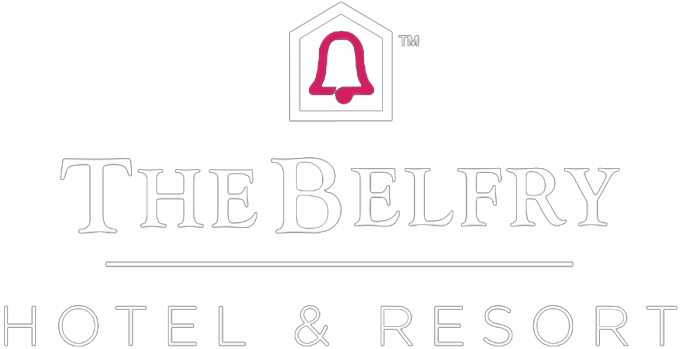 The Belfry team are the foundation of the iconic resort and proudly act as its brand ambassadors. The four members of the HR Team look after the 700 strong workforce, ensuring each and every team member can develop, grow and be inspired. The Belfry is a ‘people business’ and so the development and progression of all team members is key to our successes. The HR team have developed many initiatives that are aligned to the company’s long term strategic goals and have had a huge impact on overall business performance. HR work closely with the senior management team and line managers on a daily basis, as well as having an open door policy where employees can receive support and guidance required. Within the new structure the HR Team have gained a recruitment advisor, who is passionate about ensuring our candidates have a detailed knowledge of hospitality. The recruitment process starts from the initial job advertisement, which is promoted through our informative careers website. The HR team give a detailed understanding of what we expect when becoming part of the Belfry team. We pride ourselves on the rewards and recognition that each team member receives and internal promotion is held in high regard. We recognise and celebrate the success of our team members through our internal communication channels. As well as this, there are regular ‘Staff Appreciation Days’, recognition for exceptional work through ‘The Belfry Hero’ scheme and fun events such as ‘Belfry’s Got Talent’. Through this successful engagement strategy, The Belfry has become a place where employees feel engaged, part of the overall business and see a developing career within the company. The HR Team recognised a need to deliver a guided approach to personal and team management. The programme required needed to cover all the diverse areas of the business, from golf to spa and all of back of house. The ‘People 1st Management Programme’ covers all of this and helps to empower managers to be confident in their abilities to lead their departments. In addition to this the ‘Principles of Customer Service’ programme has also been rolled out to the relevant departments to ensure we enhance and maximise our guests experience through every interaction. To further support this an online training and appraisal system was launched assisting with training and enabling a structured approach to performance reviews for the team at all levels. Placing great importance in the value of HR, The Belfry recognises that a knowledgeable, trained and engaged team coupled with effective HR processes are pivotal to its success. By investing in HR successfully under the leadership of Director of HR Hazel O’Brien and her team, The Belfry has gained an unrivalled reputation for excellence in customer service, which continues to grow. As a result of the HR Team’s effective strategy, we are delighted to announce they have been shortlisted nominated for three prestigious HR accolades across both The Caterer People Awards and the HR in Hospitality Awards for Excellence. The Caterer.com People Awards have recognised The Belfry in the ‘HR Team’ category, which seeks to recognise HR teams that have achieved excellence in recruitment, retention and development. The HR Team has been nominated in two categories in the HR in Hospitality Awards for Excellence, these include: ‘Excellence in Talent Attraction’ and ‘HR Team of the Year’. The team secured their nominations following judging against some stiff competition so we wish them all the best of luck at both award ceremonies. WE"RE SHORTLISTED FOR THE CATERER.COM PEOPLE AWARDS 2017!